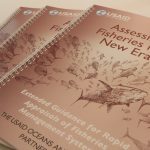 Over the last two years, USAID Oceans has been working with regional partners to develop the Sub-Regional Ecosystem Approach to Fisheries Management (EAFM) Plan for Managing Transboundary Fisheries in the Sulu-Sulawesi Seascape to enable the Sulu-Sulawesi Marine Ecoregion (SSME) to achieve a common fisheries management vision by 2030. 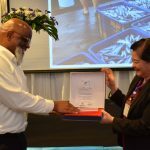 The plan is the first known sub-regional EAFM plan in fisheries management literature and acknowledges the power that can be harnessed between regional management actions and those of national and local efforts. The sub-regional plan is unique both in that it focuses on shared marine biodiversity priorities between three nations, including a set of high-value or threatened/endangered transboundary marine species that cannot be effectively managed except at a multi-national level. 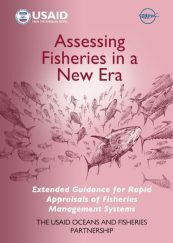 It proposes specific goals for governmental agencies, non-governmental partners, and multi-lateral/regional organizations focused on fisheries management and biodiversity conservation in Indonesia, Malaysia and the Philippines. 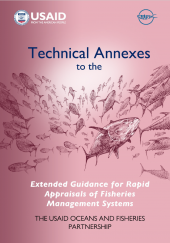 Its three main objectives are improved long-term health of living marine resources; human wellbeing (resilient, self-reliant, and empowered communities through inclusive economically- and socially-equitable fisheries management); and improved governance and transboundary fishery policy capacity through a coordinated regional framework. The process to generate the plan has required four years of sustained effort, initiated in 2015 and culminating in 2018, including three large, regional design workshops held in 2015, August 2017, and July 2018. The plan draws off a 2015-developed plan developed by a USAID-supported CTI-CFF initiative, in collaboration with the Asian Development Bank (ADB), the German development agency GIZ, and the U.S. National Oceanic and Atmospheric Administration (NOAA). 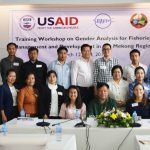 In 2017, USAID Oceans set out to update and broaden the plan through a collaborative process with its partner the Southeast Asian Fisheries Development Center (SEAFDEC), along with relevant national fisheries agencies, experts, and non-governmental partners. Following, the draft plan was formally endorsed by the Coral Triangle Initiative for Coral Reefs, Fisheries and Food Security (CTI-CFF) EAFM Working Group during the 13th CTI-CFF Senior Officials Meeting in November 2017; and review, finalization, and adoption of the plan has been integrated into the working group’s 2018 Workplan. On July 5-6, 2018, a two-day workshop to finalize the draft Sub-Regional Plan was held in the Philippines, co-organized by USAID Oceans, GIZ, and CTI-CFF, and delegates of the three countries that share the Sulu-Sulawesi Seascape (Indonesia, Malaysia and the Philippines). The workshop followed the CTI-CFF Sulu-Sulawesi Seascape Convergence Meeting, where Sulu-Sulawesi Seascape member countries discussed regional concerns and reviewed the draft plan. The sub-regional plan is shaping the future of how EAFM is implemented in Southeast Asia, with SEAFDEC leading the way to design and implement other sub-regional EAFM plans for the South China Sea and Andaman Sea. Regional partners look forward to the Sulu-Sulawesi Seascape Sub-Regional Plan being adopted in late 2018. Proceedings from the Workshop to Review the Sulu-Sulawesi Seascape Sub-Regional Plan are forthcoming.